A futuristic Sci-Fi spectacle based on a comic by one of Japan's pioneer cartoonists Shotaro ISHINOMORI (Masked Rider, Cyborg 009). Tracing its roots to ancient civilization, boys and girls travel to destroy the psychic group Gilgamesh, whose mission is to annihilate the entire universe. 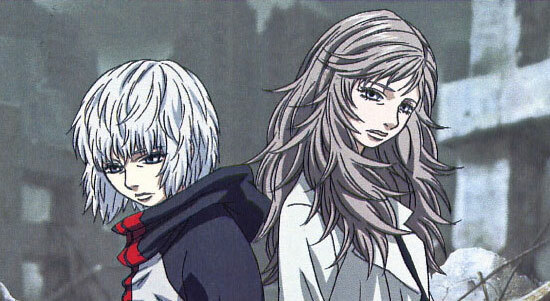 Tatsuya and Kiyoko are the posthumous children of Dr. Enkidu's, the world's number-one destructor. An encounter with a group of psychics who call themselves "Olga" invites to a never-ending conflict against Gilgamesh, Enkidu's minion. Through the days living with Olga, Tatsuya begins to discover his latent supernatural power "Dynamis", while his sister Kiyoko begins to feel a strong sense of dislike toward her changing younger brother, and toward the Countess and Olga for causing this to happen. And then... With numerous mysteries to solve, the battle to save the world begins.